The Witches Garden is a place of harmony and inspiration, an enchanting place that takes the visitor on a journey transporting the mind from the everyday world. Designed by an artist, every turn and pathway delights the eye with a vista of perfect composition. Come for a visit or book the garden for an event. If you want a magic wedding day then The Witches Garden is for you. It is a unique wedding venue situated in the stunning scenery of the Mitta Valley, perfect for traditional or themed weddings. 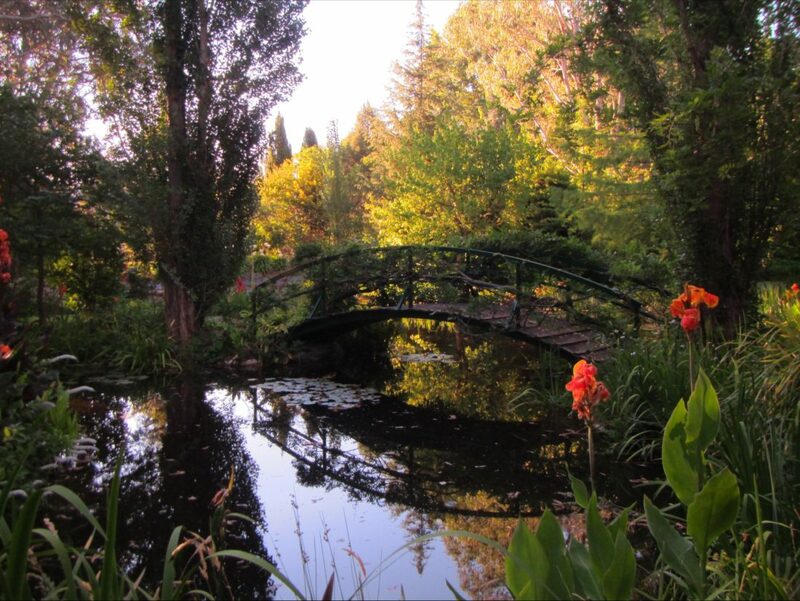 There are four acres of magnificent landscaped gardens, hedged rooms, endless flower beds, ponds, fountains, shady paths and a lake with wisteria covered Monet bridge. There is a large formal staircase leading to the marquee area right beside the stunning Mitta Mitta River. A great space for games or to entertain guests. The Witches Garden offers two unique accommodations. The Guest House is a private farm house located a short walk away on Callaghan Creek, perfect for families or groups of up to eight. Riversong Bed and Breakfast is set in The Witches Garden and is a beautiful arts and crafts home with two queen size rooms each with ensuite.